(614) 848-5001 to schedule your teeth whitening appointment at our Columbus, OH dental office. Foods, beverages, and smoking stains in particular are easily treated with teeth whitening, because they cause what is called extrinsic staining. This means that the staining is limited to the outer surfaces of the teeth. Teeth whitening procedures are very effective at correcting this type of discoloration. Most whitening systems use a whitening agent that is painted onto or otherwise applied to the surface of the teeth. The agent is left for a specific amount of time, and then is removed. Some whitening techniques require multiple applications, while others can lighten the teeth by several shades in a single office visit. While over-the-counter whitening is a popular option, it is not as effective or as long lasting as professional teeth whitening performed by or prescribed by a cosmetic dentist like Dr. Michael Firouzian. The whitening agents used in the office are more powerful than those available in your local grocery store, and typically lighten teeth seven to ten shades after a single one-hour whitening session. With our new 3D printer, we can even produce whitening trays for you in-house, and you don’t have to bite down into a tray of impression material. We just literally wave a wand over your teeth and send the image to your printer, which produces the trays right then and there. The Third Generation Zoom! Advanced Power In-Office Whitening System is a revolutionary tooth whitening procedure. It’s safe, effective and fast–very fast. In just over an hour, your teeth will be dramatically whiter. Third Generation Zoom! Advanced Power Whitening is ideal for anyone looking for immediate results. The convenience of Third Generation Zoom! Advanced Power in comparison to days of wearing trays and gradual whitening makes it the perfect choice for the busy individual. The procedure is simple and painless. It begins with a short preparation to isolate your lips and gums. We then apply the proprietary Third Generation Zoom! Advanced Power Whitening Gel, which is activated by a specially designed light. Teeth typically become at least six to ten shades whiter, sometimes more. A five-minute fluoride treatment completes the procedures. You’ll be amazed with the results. In most cases, teeth get even whiter the first few days after the procedure. To learn more about our teeth whitening services, visit our Questions About Teeth Whitening page. 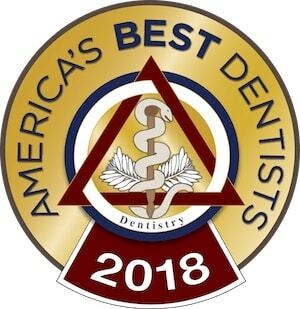 To find out what kind of teeth whitening is best for your teeth, call us today at (614) 848-5001 or email us to schedule an appointment with our Columbus, Ohio dentist.